Private car and driver transfer to Nadi Airport. Fly Nadi to Savusavu. Upon arrival you will be meet and transferred to Savasi Private Island. 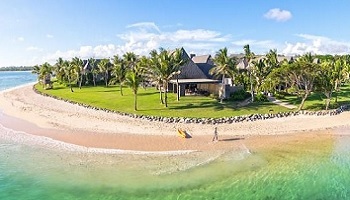 Offering all the iconic elements of a unique tropical life style, set in the turquoise waters of the Koro Sea with secluded sandy beaches, sculptural limestone outcrops and interesting crevasses where beautiful ferns and unique species cling to the ancient coral walls throughout in the extraordinary terrain. Located ten minutes from SavuSavu on a 52 acre private island, a total of six villas elevated to capture sea breezes feature expansive sea views from shaded timber verandas and spacious well-appointed bedrooms. The use of rainforest, bamboo and mangrove timber furniture and fittings as well as local arts and crafts give Savasi Private Island a true sense of place. Float down the peaceful Qaloqalo River, past dense mangrove forests, to the remote Salt Lake. Here you’ll experience the pure tranquility and silence of Savusavu’s untouched hinterland. Fed by the ocean tides, this pristine lake covers 100 acres, creating an inland sea perfect for kayaking. Ancient Fijians used the river as a short cut to the beautiful Natewa Bay. 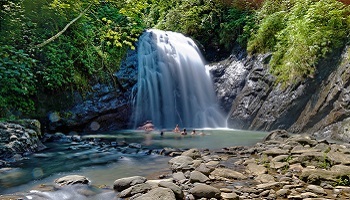 Vuadomo waterfall is about 30 kilometers from Savusavu on the west side of Vanua Levu. Experience the life of local villagers, before taking a light walk to the main attraction. 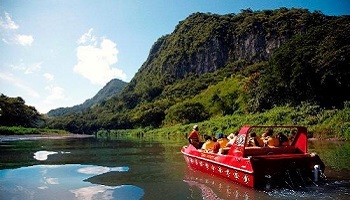 An excellent trip for photographs and seeing Fiji’s beautiful natural rainforest. Fiji has an abundance of beautiful plants and herbs. During this informative and hands-on tour you’ll discover some of the natural medicinal qualities they possess, and the practical ways in which they’ve been used by the Fijian people for hundreds of years. This tour takes place right at Savasi Island. One of the first things you’ll notice at Savasi are the stunning volcanic outcrops on which the villas are built. 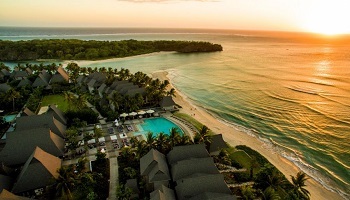 The majority of Fiji’s islands were in fact formed through volcanic activity starting around 150 million years ago, and geothermal activity still occurs on the islands of Vanua Levu and Taveuni. Today you can still witness this unique topography. Mud crabs hide in estuaries and mangroves during the day and come out after dark. At the right time of year, you’ll be able to learn traditional hunting methods before enjoying a taste of your freshly caught seafood. Take a gentle walk or a more serious hike through the thick Fijian jungle and energise your senses. 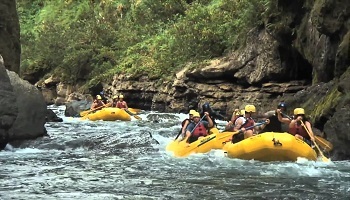 There are a range of rainforest experiences awaiting you all within an hour of Savasi Island. Experience the magic of the reef with Korosun Dive, located right at Savasi Island’s marina. Known for some of the best diving in the world, you’re sure to be inspired by Fiji’s underwater paradise. Grey sharks, Hawksbills turtles, Spotted Eagle rays, Barracuda, Hammerhead sharks and dramatic cavern swim-throughs are just some of things you can expect. Stand up paddle surfing is a fun water activity suitable for everyone – and there’s no need to schedule around high or low tides. Just grab a board and go. Test your skill aboard Savasi’s 28ft fishing boat. Sailfish, mahi mahi, Spanish mackeral or walu are just a few of the local species. We also arrange game or sport fishing tours for the more adventurous! 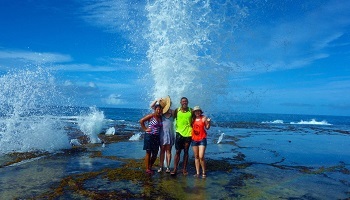 When the tide is coming in, these spectacular blowholes spout streams of water high into the air. You can enjoy the majestic sight right from our restaurant – or get up close and personal, by kayaking across the canal to the coral flat. This natural phenomena is formed when shafts in the coral grow landwards and upwards, exposing themselves at the surface and creating a shaft in which incoming water becomes pressurised. An experience not easily forgotten. Spend the morning spotting dolphins at Natewa Bay, the South Pacific’s largest bay and home to two pods of spinner dolphins. Please note this activity is subject to minimum booking numbers and must be arranged in advance. Let our experienced chefs guide you through the preparation of a dish like banilolo (steamed coconut bread) or kokoda (fresh walu in coconut cream), a refreshing Fijian specialty. You’ll learn about some staple local ingredients and how to weave them into tantalising Fijian cuisine. 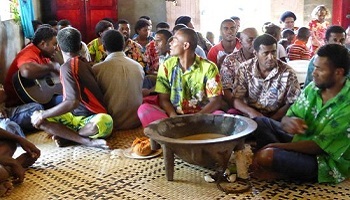 If you wish to experience a Fijian church service at a nearby village, you will be very welcome on any given Sunday. Enjoy the soulful harmonies of the choir and hear a pastors address his congregation. Learn about the amazing coconut tree and its many uses in Fiji which give it the name ‘Tree of Life’. You’ll learn the history of weaving palm fronds and can try making your own Fijian crafts. Black J. Hunter pearls are one of the prides of Fiji, and sought after internationally for their unique, non-traditional colours. Located just 10 minutes away in Savusavu Bay, this makes an excellent excursion and snorkelling trip. Music is woven into the fabric of Fiji and the ‘Meke’ embraces traditional song and dance to tell of legends, love stories, and spirits of the islands. Dances can vary from a hair-raising warriors spear dance, to a gentle and graceful fan dance. 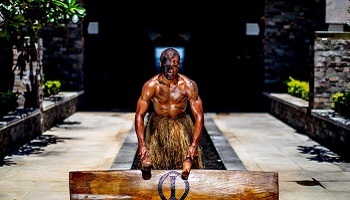 A traditional lovo feast at Savasi is a wonderful way to experience the real Fiji. An array of meats and vegetables are placed in an earth oven, lined with palms and hot coals, and left to cook over a number of hours. The resulting flavours are deliciously earthy and smokey. 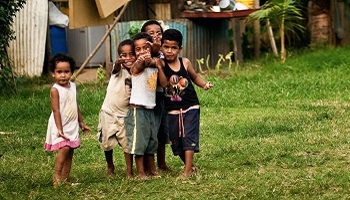 Guests can experience life in a local village first hand. Learn about the culture and traditions, attend a church service, or practice a little Fijian with the people widely considered the friendliest in the world! During this annual event, many types of coral will simultaneously release their spawn in the form of ‘balolo’ worms. Occurring during November, the spectacle is unique to Fiji and Samoa. The annual arrival of ‘balolo’ is signalled by the excited shouting of villagers everywhere, who will rush to collect the moss green or reddish-brown worms. They are considered a Pacific delicacy, not unlike caviar. Savusavu market boasts a myriad of fresh fruit and vegetables, as well as unique local foods like cassia bark (cinnamon), bush dhaniya (coriander), wild honey, avocado, cabacaba lobster, fresh mullet and sici shells. It is best visited on a Saturday. In the early afternoon transfer to Savusavua airport and your flight to Nadi. Connect to Nadi - Los Angeles flight.